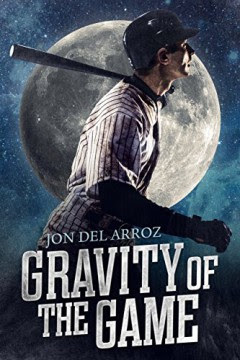 Jon Del Arroz has just released a new novella titled Gravity of the Game. Commissioner Hideki Ichiro is planning a field of dreams on the moon. The World Baseball League’s viewership has declined to some of the most alarming levels in the game’s history. To survive, baseball needs to expand to a new market, and the only place to go is out to the stars. There’s one hitch in the plan: playing baseball is impossible without Earth’s gravity. Can Hideki navigate new technologies, angry owners, and the drive-by media before time runs out for both baseball and his own career? Explore baseball’s future in the heart-warming novella by multi-award nominated science fiction author Jon Del Arroz! Gravity of the Game is free for Kindle Unlimited subscribers. If you want to see if subscribing is right for you, can get a Kindle Unlimited 30-Day Free Trial.